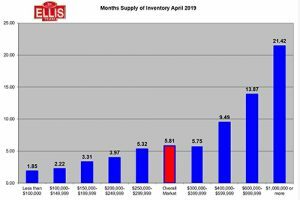 SW Florida real estate inventory drops in April. Back in February we calculated 6,677 listings from MLS and today we have 6,283. Either more homes are selling to cause this drop, or homes are expiring and have not re-entered the market yet. So, let’s dig deeper, find out what is causing this, and look at the opportunities. 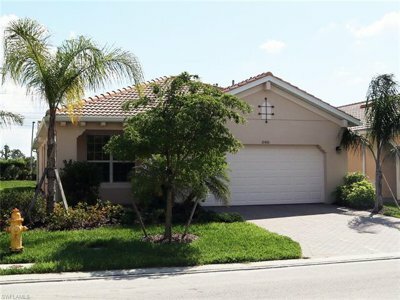 We run a 365-day moving average tracking the SW Florida home sales. Back in February we tracked 13,083 sales compared to 12,986 today. What this tells us the inventory levels are not coming down from increased sales. In fact, sales have lightened up a bit. The other thing it could be is increased pending sales taking inventory off the market, but they haven’t closed yet. Official pending numbers for March will be released next week, so we’ll study those. We watch the expired listings hitting the market each day and we noticed a large number at the end of March. With listing numbers down almost 400 we can assume some sellers gave up when they didn’t get their price. We can also assume that many of those same sellers would like to sell. Perhaps they have another property they’d like to move to. Perhaps they’re tired of the HOA or condo fees where they live now. Maybe it’s just time. In any event, there may be a way to get your property sold. Sometimes sellers just hire the wrong Realtor. They assume all Realtors market the same, therefore they will all fetch the same price for their home. Reality tells us this isn’t true. Some Realtors practice the 3 P’s of marketing. 1. Put a sign in the yard. 2. Place it on MLS. 3. Pray that another Realtor sells it. Placing a home on 100 different Internet sites is not marketing. Anybody can do that. It’s easy, and I’ll show you how. The real marketing is finding buyers for your home. This entails calling a database of buyers looking in your neighborhood. That’s right! We have a database of buyers looking for homes in your neighborhood. If you doubt me, I’ll show you the database. I’ll show you the buyers. Secondly, we want to create new buyers not already in the database. We target buyers online who are looking for a home or condo just like yours. You can’t wait for the market to come to you. You must go and get the market. This is why so many homes expire and never sell. The Realtor didn’t go and get the buyer. Sellers do not want to reduce their price until they’re satisfied that all the marketing is being done. They only want to reduce the price when they’re convinced it is the price, not the marketing. When you hire marketing gurus when you list the home, you’ll know. Hiring the wrong Realtor can cost you valuable time on the market with no sale. Lots of people call us the 2nd or 3rd time around. Why not call us 1st? If you’re thinking of selling, or tried to sell and failed, give us a call. It might not be the price. You might have simply selected the wrong Realtor. 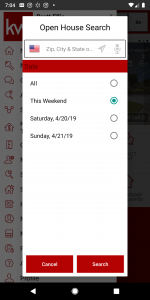 We have an app that will show you all the open houses in your area, no matter where you live. It even works up North. 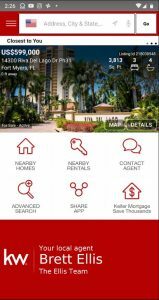 Simply go to www.SWfloridaopenhouse.com and download the app. Sellers like it so they can explore the competition. Buyers love it so they can see today which homes will be open house next weekend. You can also check out your home’s value online for Free. 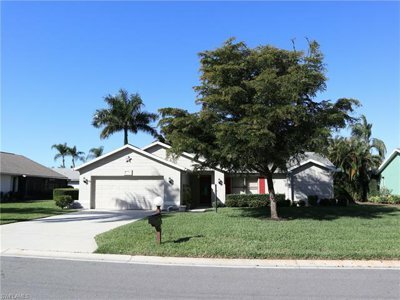 Go to www.SWFLhomevalues.com This site does a pretty good job of estimating your home’s value. It’s scary how accurate it is many times. Of course, if you’re thinking of selling, always call Sande or Brett Ellis 239-489-4042 Ext 4 and we’ll be glad to visit your home and verify its value. We’ll show you how we go out and find the buyer. We don’t wait for the buyer to find you! Happy Easter, and Happy House Hunting! An unexpected mortgage rate drop benefits buyers, but for how long? We had a temporary inverted yield curve, which means long-term rates were less than short term rates. 30-year mortgages are most often pegged to the 10 year note, and when the yield curve inverts, it throws the market into bewilderment. There were fears of slowdown and recession, which led many to believe perhaps the Fed was overzealous in raising rates this past year. Then earlier this week, global economic news started coming in stronger than expected, which set recession fears at ease. Earnings are due out soon and the thing to watch will be guidance in these reports. Couple that with listening to what the Fed indicates, and the interest rate uncertainty may start to clear up. Therefore, we don’t know how long this drop in rates will last. What we do know is buyers should not squander this opportunity. Last week we saw the largest and fastest rate drop in history in a week. 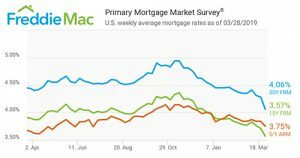 Rates are down almost a full percent since last Fall, and about ½ percent since January. A buyer today qualifies for about 11% more home than they did 6 months ago. The best part is, not only do they qualify for 11% more, it won’t cost them to borrow 11% more either. Buyers should lock-in rates right away. 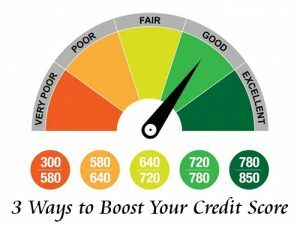 If your lender allows you to lock and shop, that might be a good idea. If they don’t, get your home under contract and make loan app right away. Waiting to purchase could cost you much more in interest than you could ever save negotiating with a seller. Get your negotiations locked up today so you begin the mortgage process. Sellers, you’ve got a tight window too. More buyers just entered the pool that can qualify for your home. If rates go back up, that pool will dwindle to what it was last week. Don’t bet on the fact all buyers will read this story. By the time home buyers figure this out, it might be all over. We just don’t know where rates are headed, and neither does the market. We are in uncertain times, but rest assured, the market will figure this out. The Ellis Team still has 20 pending sales, even after the big 1st quarter we had. With the interest rate drop, we’re looking to add to this number. We’re down to just 11 homes and condos on the market right now. Everything else is pending or sold. We need listings. Our marketing is working. Sellers are astounded when their listing expires to find out there is a difference in marketing. The perception is all Realtors work the same. Just list it in MLS and on all the websites, and it will sell. That’s not marketing at all. Any Realtor can do that. That’s the bare minimum. That isn’t what’s going to sell a home. Unfortunately, too many Realtors have sold the idea that having sellers’ homes listed on all these platforms will sell a home. The truth is they do this because it’s Free. That’s right, it typically doesn’t cost the Realtor anything to list a home on all these portals. What isn’t Free is the lead generation and finding buyers for the properties. There is a reason the Ellis Team sells so many homes. It’s because we don’t take the Free route. We spend a lot to create these buyers for our listings, and we have people on our team to work them. If you’re thinking of selling, call Brett or Sande Ellis 239-489-4042 Ext 4, or visit www.SWFLhomevalues.com If you’re looking to buy now at today’s low rates, check out www.LeeCountyOnline.com or call our office and we’ll get you locked in to a good deal and low rates today. There is still a good selection of homes on the market right now, even if they’re not our listings. We’ll be happy to find you the best values. The real estate market is always changing, so too must we to keep up with changes. We’ve been hard at work selling property in SW Florida even though most agents realize there is a shift occurring in the market. Our marketing is world-wide, and because Germany has overtaken the 2nd spot as most visitors to our website, we’ve decided to add a German division to handle this overseas demand. Yesterday we pulled up our sales report and noticed we have 21 pending sales. Not bad when agents are complaining the market has shifted and listings are tougher to sell. We agree the market has shifted, and listings are tougher to sell. Where we don’t agree is what to do about it. Dennis Muchow is going to lead our German division. Dennis comes to the Ellis Team from Berlin Germany where his family has operated hotels in both Germany and the U.S. He is not only a hard worker but a fast learner. When we first met Dennis, we couldn’t even tell he was from another country. He had no accent even though he only moved to the U.S. 4 years ago. Maybe it’s because he spent so much time in SW Florida growing up as his parents spent 6 months in Germany and 6 months in Cape Coral. 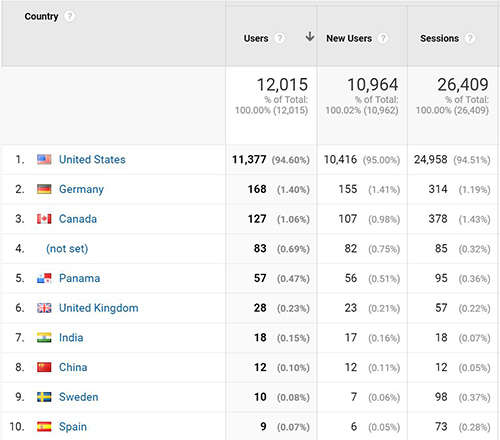 Last year Germany was in 3rd position for www.LeeCountyOnline.com visitors and Canada was number 2, but that’s changed this year. Despite the shifting market, SW Florida remains popular with international visitors and U.S. visitors alike. We’re a tax friendly state, and of course we have gorgeous weather. U.S. News & World Report just recognized Fort Myers as one of the best places to live near a beach because of most access to ocean, sand and sunshine, as well as being a great place to live. If you’re thinking of selling, call the Ellis Team at Keller Williams Realty 239-489-4042 Ext 4 and see how our marketing can help sell your home. Ask for Sande or Brett. If you’d like to speak with a German speaking agent, we can help with that too. If you’re buying, our team of talented buyer specialists can help you find your piece or paradise, and the best news is, it’s all right here. You don’t have to travel around the world to find it. And don’t forget that app. You’ll appreciate the Open House search and Nearby Homes lookup. You’ll even find out how you can save thousands on your next mortgage loan. The app will automatically update to the cool new stuff coming out. You don’t want to miss that, so go ahead and download it now. Real estate is local, and it doesn’t matter where you’re from or where you’ve been. The Ellis Team is here to explain what makes SW Florida so special, and how we can make your dream a reality. We enjoy helping people, so let our team help you. You’ll be able to see all home for sale, and all see which homes are open house this weekend. Try it out. At last week’s Ellis Team meeting we asked our buyer specialists how they did the past week and what they were working on this week. One agent just sold 3 homes that week, and another sold 2, and another sold 1. Each agent was working with 3-4 buyers that were going to purchase in the next week to 10 days. 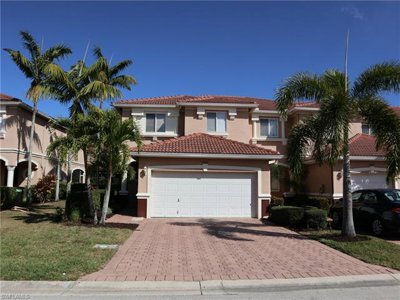 Suffice it to say, home sales are heating up in SW Florida just like the weather. It is mid-March, so home sales should be heating up. If they weren’t, we’d have a problem. This is peak season after all. For the past few weeks we’ve noticed pending sales outpacing new listings. As we write this article, we notice new listings outpaced new pending sales again. By our count we see about 6,625 listings in Lee County. This is down from the 7,100 we saw in January, however there may be a few more when official numbers are released because listings from outside agents in other MLS boards can increase this figure. Believe it or not, sometimes a Miami or Jacksonville agent will list Lee County properties in their MLS and not here. So, what is all this telling us about the market? Overall, we’ve got a good market. If you price it right and market it correctly, homes should sell. Is it still a seller’s market? No. Is it a buyer’s market? Possibly, but maybe it’s shifted back to neutral. We won’t know until numbers come out next month. For us, it really doesn’t matter. A buyer’s or seller’s market is just a term. It’s close either way. What’s more important is how buyers and sellers are reacting to the information available. All real estate is local, and usually hyper-local. If the overall market sits at 6.18 months supply of homes, and the home you like is in a neighborhood with 2 months supply, it changes the dynamic. Numbers are constantly changing. Buyers who fail to recognize this may find themselves missing out on great homes. It’s frustrating to miss out on home after home. If this keeps happening to you as a buyer, you need to take a step back and evaluate the advice you’re getting and your reaction to it. Perhaps you’re listening to family members or friends, and while their advice is well intentioned, it could be bad. Or perhaps your search online isn’t considering up to the minute trends. Is the agent you’re working with full-time? Sellers, you too always need to know what’s going on. The market can change in an instant. 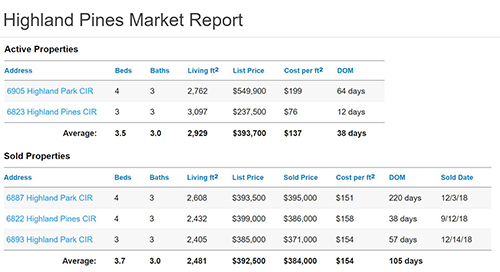 New listings enter the market, or current sellers drop their price. Far too often sellers set their price and believe they’re done. The seller sets the price and the market determines the value. If the home doesn’t sell, constant monitoring is required to see what your competition is doing as well as sales activity. In the end, your success is determined by the agent you work with, the research you do, and the advice you listen to. Consumers mistakenly believe all agents are the same, so it doesn’t matter who they work with. Are all doctors the same? How about attorneys? Of course not, and neither are Realtors. Making any of these common mistakes could cost you thousands, or worse? It could cost you a sale. Your dreams are too important. Life is too short. You don’t want to wait for the next market cycle to make that move. The time is now. We hope you find this information helpful. If you need to talk to us, call us at 239-489-4042. We’re experts at listening, and offering ideas based on your goals. We look forward to speaking with you. This past week I was having a conversation with an agent who just lost a listing to an agent from another company. They said I wish the seller knew that over half that agent’s listings expire and never sell. That statement got me to thinking, that is a great topic to write an article on. We’ve created the real estate agent expired listings ratio database. On TV and radio, you hear about all these rating services that want you to contact them as they rate real estate agents by production and sales. Presumably they want to get in the middle and collect an advertising or referral fee for their service. Rating agents on sales is one thing, but has anybody ever looked at how many of their listings sell versus expire? Well, we just did it. I downloaded 11,280 expired listings in the past year in Lee County from the MLS. I imported all listings into a sortable database. 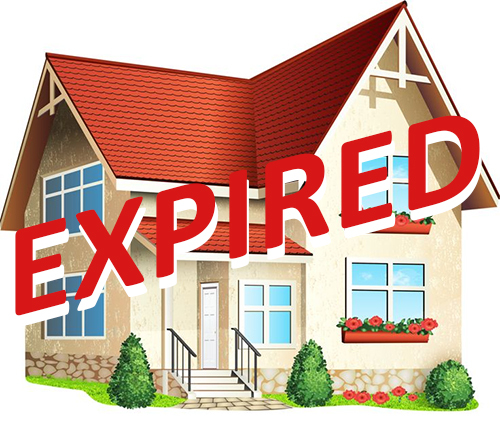 We searched for expired, terminated, and withdrawn listings as some agents try to skirt the system and withdraw them, so they don’t show as expired. After running the numbers, we found some astonishing numbers. One agent had 88 such listings. Other agents had 76, 69, 52 and so on. Wouldn’t this be information sellers would want to know about? We went one step further and created an expired ratio category. Imagine if you were drafting a basketball team and a guard was available that averages 20 points per game. Sounds pretty good, that’s roughly 10 field goals per game plus or minus free throws and 3-point shots. Assuming he or she makes 10 shots per game, would it alarm you to know they took 50 shots per game to make 10? That would be only a 20% FG%, or put another way, an 80% fail rate. Therefore, we created the Expired ratio. We know these agents have a ton of listings expire, so let’s look at their expireds compared to their successes. The agent with 88 expired listings had a 46.81% expired ratio. Not good! The agent with 76 expired had a 56.30% expired ratio, even worse. The worst ratio we saw in the database of top expired agents was 84.21% That’s horrific. Imagine if you were interviewing agents and they told you over 84% of their listings never sell? Agents will never tell you this information, and chances are they don’t even know the number. It’s bad, and they know that, but they don’t know their numbers. I didn’t until today. For the record, ours is very good. I also looked at company data. Not surprisingly, many of the limited service brokers were high on the list. Limited service brokers do a lot less, and for that they probably charge less, but who knows? Sometimes you only get a sign and your listing syndicated to the national data aggregators. Showing agents may have to contact seller directly to negotiate offers, setup showings, etc. Showing agents aren’t compensated for the extra work. It takes extra time and skill to educate both the buyer and seller, negotiate through inspection issues, etc. I’m not going to publish this list publicly. We’re not here to put anybody down or call agents out. We do feel however that sellers should be armed with this information. It should be part of the decision process. Sellers are making a large financial decision, and they want honest information in which to evaluate agents in that decision. If you’re thinking about selling and are interviewing agents, email me Brett@topagent.com with your address and the agents you’re considering and I’ll look them up and let you know how they stack up. This way, you’ll know if the agent you’re considering has a good track record of actually selling their listings, not just listing them. You can always call us 239-489-4042 Ext 4. 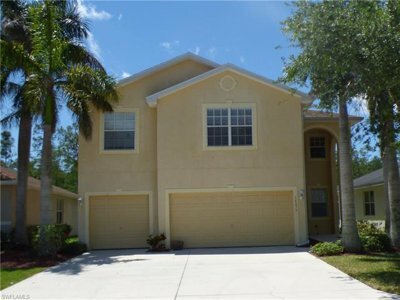 Ask for Sande or Brett, or visit www.SWFLhomevalues.com to get an idea of what your home is worth for Free! At a time when real estate markets across the US and Florida began to shift, the Ellis Team at Keller Williams Realty began to shine. Nationally, home sales began to slide in the 2nd half of the year. Locally, home sales began to slide in the 4th qtr. of 2018. 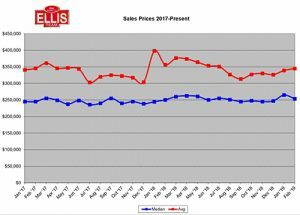 Ellis Team sales rose 55% in 2018. So why do some agents shine when others begin to fail in a changing market? Successful agents who’ve been through many cycles know one thing. You don’t stop marketing in a shift. The typical agent cuts back on everything in a shift. Sales begin to slow, and it proves their point that the market isn’t what it used to be, and sellers just need to get more realistic. The Ellis Team has been called in many times after a home has expired and sold it. We’ve had several already this year, and we’ve already closed on them. Price wasn’t the issue. Let me say that again. Price was not the issue. We did not lower the price. It was the marketing, and experience in handling negotiations to get it done. While pricing is important, marketing is the other single most important thing a Realtor can do to get your home sold. Sellers are tempted to hire a Realtor with lower commissions only because they believe they’ll end up with more in their pocket at closing. Naturally you would think that. Pay less, net more, right? 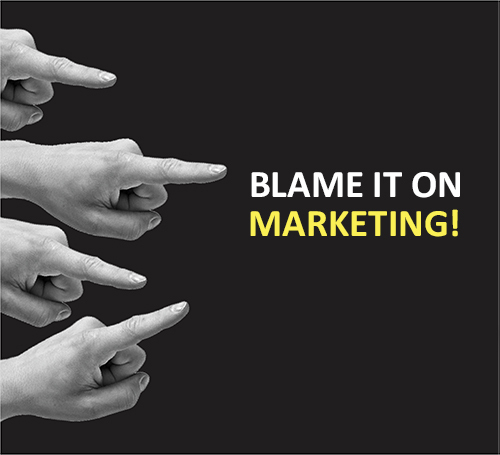 The truth is marketing is what brings in more buyers. When you have more buyers to choose from, you get a better selection of offers. You must also think about the co-broke fee. That is the fee a listing agent pays out to other agents in MLS. If the co-broke fee is lower, you must wonder if agents will be as motivated to show your home. We want the best agents highly motivated to show our listings. Agents in SW Florida know the Ellis Team has been around for years and we’re professionals, so they like to show our listings. It’s much easier to cooperate with a pro than a beginner or part-timer. Some agents even have a reputation of being difficult to deal with, so agents don’t show their listings as much. Pricing is the other critical step. Sellers don’t want to reduce until they’re satisfied the home isn’t selling because of the marketing. Only then will they reduce their price. The question we have is this: If you have to question whether it’s the marketing or the price, you’ve probably selected the wrong Realtor. There should never be a question if it’s the marketing. Of course, when there isn’t much marketing, it’s always a question. Here’s a little tip. Simply placing a home on Zillow, Realtor.com, MLS, Homes.com, and placing a sign in the yard is not marketing. A for sale by owner or discount broker could do all that, and 92% of for sale by owners give up and hire a Realtor to sell their home anyway. There is a difference between a full-service Realtor and a full-marketing Realtor. The truth is, most Realtors don’t do all the marketing we do, or even know about some of it. And they certainly won’t pay for it. You see, our broker doesn’t pay for our marketing. We pay for it out of our own pocket, so we know it works. And we do a lot of it, so it Really works. Call Brett or Sande Ellis 239-489-4042 Ext 4 and let us show you how our marketing is different. Don’t forget to ask about our new secret weapon too! We look forward to helping you. Posted in Cape Coral Real Estate, Fort Myers, Fort Myers Beach, Fort Myers Real Estate, Southwest Florida Real Estate. We’ve been studying the 2018 National Home buyer and seller profile as it reveals some interesting information. We have knowledge about what buyers and sellers look for in an agent, how often they use an agent, and what they’re expectations are. Today we’ll focus on two aspects of the report: The methods seller’s use to sell a home and information sources buyers use to purchase a home. 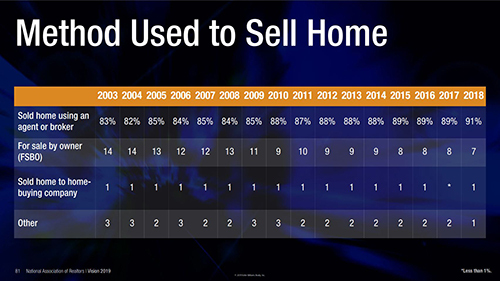 In 2018 home sellers used an agent 91% of the time. 1% sold their home to a home buying company, and 7% were successful selling their home on their own. Whether they netted more at the closing table is another story. Many sellers attempt to sell their home on their own but give up typically after 3 weeks. They quickly learn that selling a home isn’t easy, and they essentially become a Realtor when they chose to try it on their own. Only 4% of the lookers can purchase a home. The rest are unqualified, out of their price range, or must sell something first. They have a problem that the Realtor needs to solve. The problem is, they won’t tell the seller what the issue is, and even if they did, the seller can’t solve it because they don’t have the knowledge or resources to deal with the buyer’s issue. They can barely deal with their own issue and quickly feel in over their head. The seller says it’s not my problem, it’s the buyers. The problem is, it becomes the seller’s problem if the seller can’t solve the buyer’s issues because there is no sale without doing so. There are only so many cash ready to go buyers, and they want a deal if dealing directly through the seller. So, the seller has few buyers, and the few that are ready and able want a deal. Both the buyer and seller can’t save the same commission, and therefore sellers give up and hire an agent. 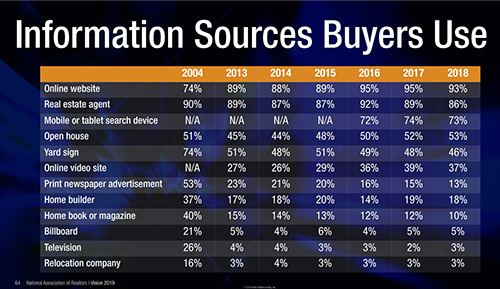 When looking at information sources buyers use, we see that 93% use an online website and 86% use a real estate agent. You can see that these two sources haven’t changed much in the last few years. Yard signs have fallen significantly since 2004. About the only two things to rise in recent years are open houses and online video sites. 88% of both buyers and sellers hire the 1st or 2nd agent they speak with. The number one thing buyers want from their agent is help finding the right home. This tells us they love searching on their own, but they want an agent to help decide and confirm which home is best. In other words, both buyer and seller like to do some of the research on their own, and both realize it’s a large investment and ultimately consult with a Realtor when it’s time to buy or sell. The average buyer searches 10 weeks before making a purchase. We have a complete list of features buyers love in online property websites. Our website www.LeeCountyOnline.com is a real winner with buyers and sellers alike. Research also shows more online features buyers and sellers would like to have about the neighborhood and about their home. Therefore, we’re releasing an upcoming app that will show community info with news about the neighborhood, local parks, schools, businesses, home values, events, etc. It will be a personalized feed for each person, not a generic page about a neighborhood. We’ve tested over a million consumers and they absolutely love the new app. We can setup as a web page right now until the app is released, so you have flexibility to use on mobile or desktop. If you’re looking to buy or sell, always call the Ellis Team at Keller Williams Realty 239-489-4042 Ext 4. Good luck and Happy House Hunting! The first thing a seller wants to know is the feedback from the buyer after a showing. Some sellers are patient, and others want it 5 minutes after the showing concludes. We’d like to share some thoughts for sellers on interpreting buyer feedback from showings in hopes of explaining the process, so it makes better sense to sellers. First, to all the agents showing properties out there, please provide feedback to the listing agent. Sellers always want to know. We know you are busy, and you might be showing 10 homes, so it’s hard to get back to each listing agent. That’s why we make it easy for buyer agents to respond. The Ellis Team uses a showing service to setup all showing appointments. After the appointment has concluded, it emails each showing agent and asks them for feedback. 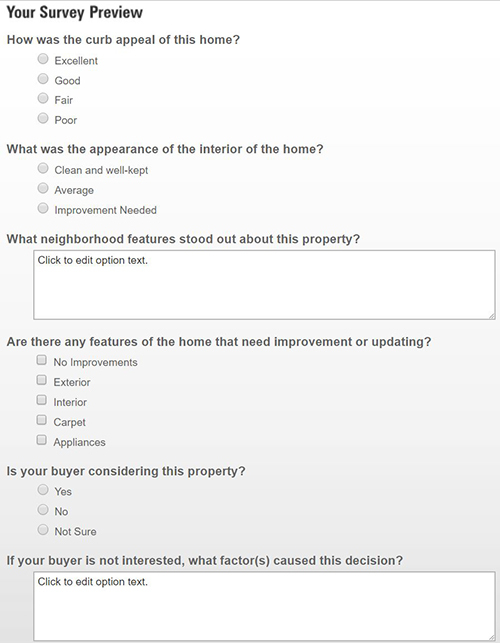 Here is an example of one of our surveys. It is survey 7. These showing feedback reports get sent directly to our sellers. Obviously, the best feed back is an offer. We used to ask what the agent/buyer’s opinion was of the price. Obviously, if they’re not making an offer, they didn’t like the price. When a home is priced in a buyer’s wheelhouse, offers generally occur. When the buyer feels a home is over-priced, they move on to better value homes. There is no better feedback than the presence or absence of offers. We no longer ask the buyer or agent’s opinion. Many times, they would respond it is priced correctly, but no offer would come. Perhaps they didn’t want to offend the seller. Or they didn’t feel it was their job to educate the seller on pricing. Either way, there was no offer, and the seller was left wondering. One of the things a seller can appreciate is the buyer’s perception of the condition of the property. 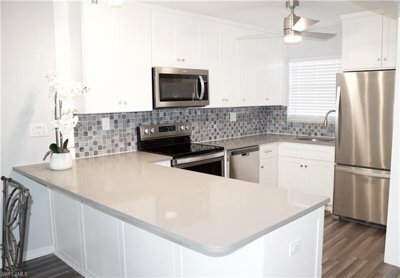 Sometimes buyers will object to flooring, or the appliances, or maybe even the choice of paint colors. If a seller sees a pattern developing, perhaps a change to the property is in order. If I’s not something the sellers is prepared to tackle, a price change may be in order. A home showing is a lot like a date. The seller wants to know how it went, and if they were liked. Sometimes the buyer will be honest and tell the seller, and sometimes they don’t want to hurt their feelings, so they stay silent. Obviously, if you went on 10 dates and everybody objected to your haircut, you’d consider doing something different with your hair. Therefore, as agents we try to obtain feedback from the agent so the seller can assess the situation. Surely the guy with the bad haircut would rather know why he’s being rejected rather than repeating the date over and over again like the movie Groundhog Day. The Ellis Team has a form we share with our sellers. It’s called Interpreting Feedback. We have a list of the top 10 things buyers say about homes and explain what they really mean. Do you think men and women hear things the same way? When a man and woman are having a heated discussion and the woman answers, that’s fine, he might be in trouble. And yet, he may have heard, that’s fine, she agrees with my position, and the argument is over. He’ll find out later if it really was fine. Similarly, when a buyer says, “They liked the house but bought another.” What they really meant was “They found another home that was a better value or fit.” When you learn the language of real estate, decisions become much easier. It’s taken us over 4,000 successful transactions in Lee County to learn this language, and we’re ready to share it with you. In a shifting market, sellers and buyers need to learn to communicate better with each other. Buyers want to buy, and sellers want to sell, and each side has fears about the process. An experienced agent can make all the difference interpreting what the other is saying and help you to a successful closing. Always call the Ellis Team at Keller Williams Realty. 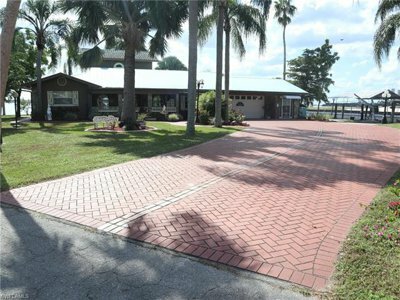 239-489-4042 Ask for Sande for Brett Ext 4 if you’d like to sell. Please visit www.LeeCountyOnline.com to search the MLS like a pro. It’s Free, and you’ll love it.